This is the season to reunite and have a grand time with your loved ones! 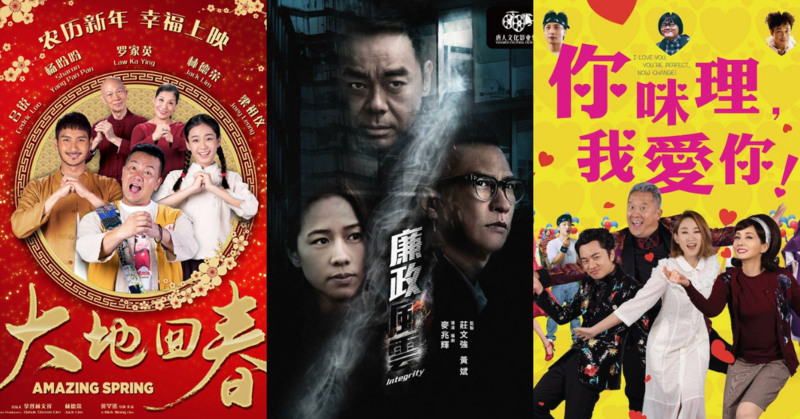 With new line-up of CNY movies set to hit the big screen, here are some new films that we’ve curated for the enjoyment of you and your fam bam this CNY. The mobile chat team ‘Pat Poh (Nosy Ladies) consists of a tight-knit crew of 6 females and 2 males. A sudden string of unpleasant events happened among them which put a strain on their friendship. However, when one of their friends finds herself in trouble, the former buddies must put their differences aside to save her. This action-fantasy movie focuses on a legendary demon hunter named Songling, who is destined to defend humanity from a malicious entity that invade the human realm. He teams up with a lawman protégé and a motley group of friendly monsters along his journey to defeat the evil. An adaptation from the widely popular Broadway Musical of the same title, this musical comedy comes with a twist of Hong Kong sentiment. It consists of 12 vignettes that explore one central theme in life – love. A Malaysian-Hong Kong comedy film which tells the journey of a dysfunctional family of four from Hong Kong who travels to Malaysia in hopes to rekindle their strained relationship. During their time in the country, hilarity ensues after an encounter with three strangers who introduce them to an unforgettable journey. The crime film revolves around a multi-year ICAC investigation into a complicated bribery case that is on the brink of collapse after the disappearance of the mastermind and whistleblower who went missing. A top ICAC agent and his estranged wife who is a fellow investigator teams up to risk their lives to bring the whistleblower back to Hong Kong. A musical-comedy film which tells the story of an arrogant young heir who tires to acquire the Dadi Village but somehow travels back to a stranger and funnier period of the village in the past. The peace of an elderly home is shaken when a gangster who is an old friend of Master, the person in charged of the place plots to seek revenge on him. Which movie from the list are you keen to watch the most? Let us know in the comment box down below!